Recently, American Family Insurance (AmFam) posted an article on their website about deer-car collisions. The point is simple. Fall is the season when deer are most active because it is the breeding season. 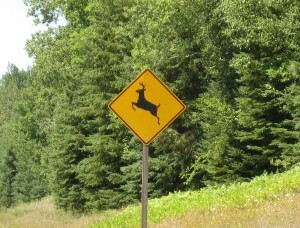 Because the deer are more active, motorists are more likely to encounter deer on roads and highways. All too often, these encounters result in serious auto accidents. Not only do these traffic accidents cost millions of dollars annually but they often result in injury and sometimes even death. AmFam is spreading the word about safe driving during this time of the year. Being attentive and knowing how deer behave may just help you avoid a deer-car collision the next time you are on the road. Check out this article from AmFam for safe driving tips when encounters with deer on and along roadways are concerned. 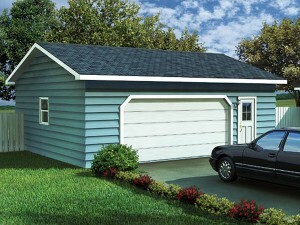 If it isn’t necessary to have your garage door open, keep it closed. An open garage door is an invitation for any passer-by/burglar to have a street view of everything you have inside. If they see something appealing, they might just decide to help themselves when you’re not looking stealing tools, bikes and other valuables. Or, they may watch and wait for you to leave before they strike. And remember, often the things in our garage will provide an indication about what is inside the house turning your garage burglar into a house burglar too. Keep all windows and doors locked and secured when you’re not inside the garage. An unlocked window or door leaves opportunity for someone to break-in your garage. Lock windows and screens when you don’t need them open and keep the overhead door and any service entries locked when not in use. Install motion lights outside the perimeter of your garage. If you need to head to the garage late at night or you are coming home late, the motion lights will light your way from the garage to the house or vice-versa. They will also deter burglars. And you’ll appreciate an outside light turning on when you pull in the driveway late at night. Motion lights have an added bonus, the save energy by only coming on where there is motion rather than keeping a light on all night. Organize the inside of the garage and keep everything in its place. Not only will this make it easy to find something you are looking for, but it will keep the floor and pathways clear making it easy to walk around in the garage and pull the car inside without risk of tripping over something or driving over something such as a sharp tool or rake that could potentially damage your tires. Store items such as power tools out of reach or out of sight of children. It is best to keep them locked in a storage closet or cabinet inside the garage, but it you don’t have a place to lock them up, install sturdy shelving units or cabinets and store dangerous power tools and other items that may have your children up and out of reach. Do not store flammable materials such as paint cans, gasoline containers and lawn fertilizer in your garage, especially if your garage is attached or situated near your home. If your garage catches fire, there is a good chance your house might too. Not only are these items at risk for catching fire, but they also give off hazardous fumes of not sealed and stored properly. These fumes can make their way into your home putting everyone at risk. It is best to store flammable items and other harmful chemicals in a backyard storage shed as far away from the home and garage as possible. Never let your car run inside the garage with the garage door closed. The build-up of gases and emissions from a running car can cause serious illness and even death. If you need to warm your car up in the winter, back it out of the garage or at least open the garage door all the way to let the harmful gases escape. Following these safety tips will help protect the items you store inside your garage and prevent unnecessary health risks to you and your family.